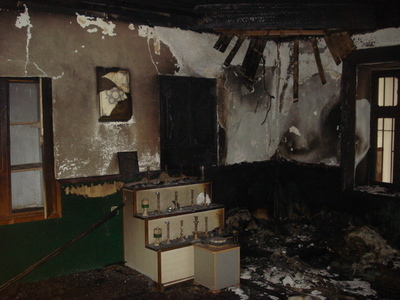 Damage from an arson attack on the Harabati Baba teqe, a Sufi Muslim religious complex in Tetova, Macedonia, 2010 – Photograph by the Bektashi Community of the Republic of Macedonia. As an informed global media audience should know, traditions of pluralism that were long established in Islamic statecraft, law, and public institutions today face a mortal threat from adherents to radical, fundamentalist interpretations of Sunni Islam. The latter mainly comprise Saudi-financed Wahhabis, who masquerade as "Salafis," and South Asian Deobandis, who support the Taliban. In the Balkans, the front line between Sufism and Wahhabism runs through the Albanian- and Muslim-majority – and in the past, Sufi-identified – city of Tetova in eastern Macedonia. There, a focal point of aggression against Sufi believers is found in the Harabati Baba teqe, a large architectural complex of buildings established by the Bektashi Sufi order in 1538 and used for different spiritual and related purposes. The Harabati compound has been under siege by Wahhabi extremists for nearly a decade, and was set afire in an apparent arson attack in December 2010. As I commented in a paper presented in Tirana, the Albanian capital and center of the Bektashi Sufis, in 2009, the Harabati teqe is one of the three most important outposts of the Bektashis outside Albania, the other two being the Bektashi teqe of Gjakova, Kosova, and the First Bektashi teqe in Taylor, Michigan, USA. Defense of the Harabati teqe should be the urgent concern of every Bektashi, and all friends of Bektashis and of other Sufis and moderate Muslims in the Balkan region, the Albanian lands, and around the world. The Bektashi Sufis account for approximately two million people, including a quarter of the population of Albania. They embody "Sufism as a social movement," supporting gender equality, secular governance, and public education. They have played a notably progressive role in Albanian politics during more than a century. 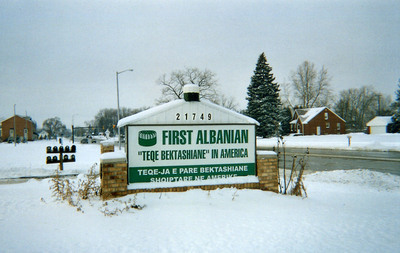 The First Albanian Bektashi Teqe in America, Taylor, Michigan – Photograph 2009 by Stephen Schwartz. Attempts to occupy the Harabati teqe and to transform it into a Wahhabi asset began in 2002, a little more than a year after the NATO imposition of a truce that ended Slav-Albanian fighting in Macedonia. A group of interlopers armed with automatic rifles and handguns seized a section of the teqe, claiming that they were "recovering" the structure to use as a mosque for Muslim prayer. In a Bektashi Sufi installation, regular prayer would not be held, and the teqe had never, at any time, included a mosque. Usurpation by the Wahhabis was carried out with the apparent approval of the local Sunni religious authorities, i.e. 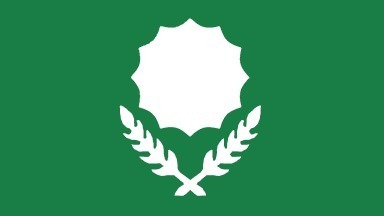 the official Islamic Community of Macedonia (ICM). In its International Religious Freedom Report for 2006, the U.S. State Department described armed Wahhabis who invaded the Harabati teqe as representing the ICM. The U.S. State Department noted in its International Religious Freedom Report for 2009 that the burial of a Bektashi follower at the Harabati teqe brought a protest from the ICM, which declared the interment illegal and threatened to remove the body. Good relations are maintained between the Sunni establishment and the Bektashi community in Albania proper – facilitated by the much larger Bektashi membership there – but are absent in Macedonia and limited to local contacts in Kosova. I visited the Harabati teqe during the summer of 2010 [and spring of 2011] and will continue to report about this persistent and ominous incursion of radical Islam into the Balkans.